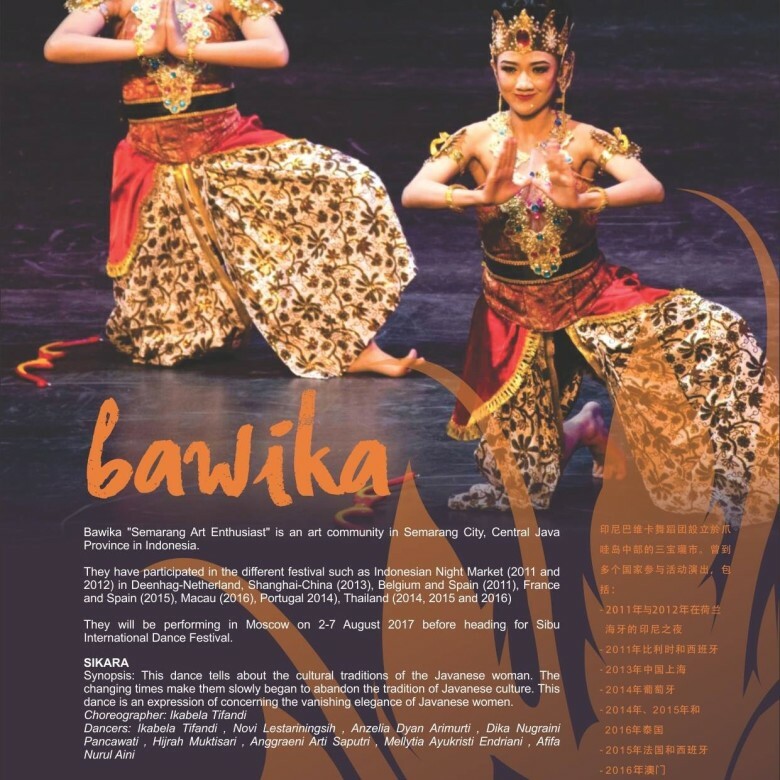 Bawika dance group from Semarang, Central Java of Indonesia. Have been traveled to the different countries, will be their first time in Sibu. 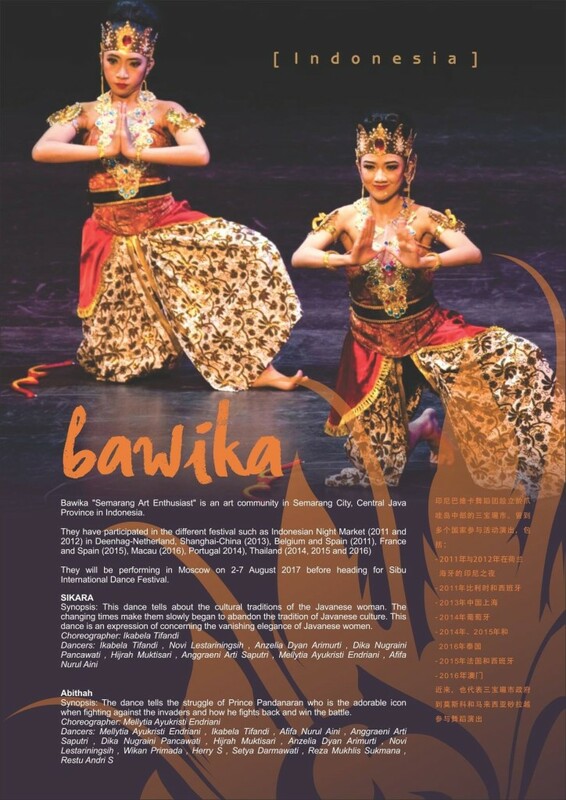 Looking forward to watching their performance which skillfully incorporated the local culture with the dance.